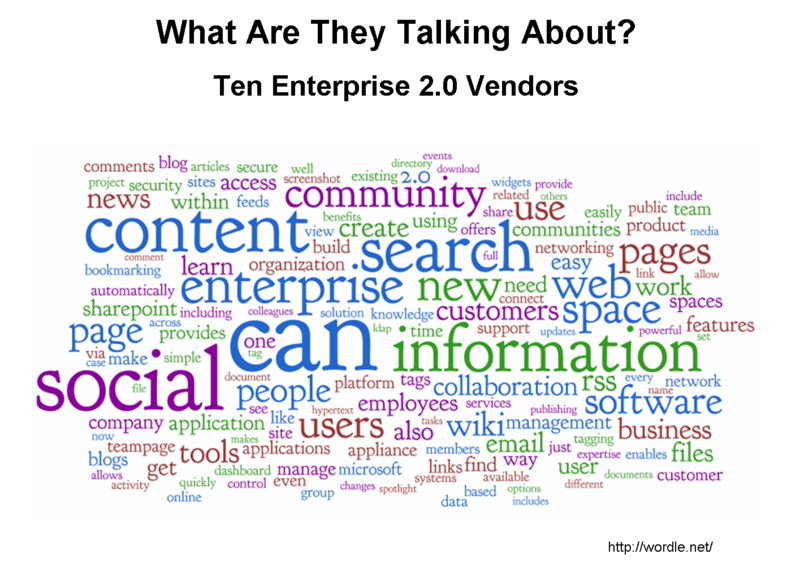 Pingback: ITSinsider » Blog Archive » What the heck are Enterprise 2.0 vendors talking about? Very cool Hutch, I made one for Blogtronix as well. Very interesting Hutch. Nice article. Hey, remind your CTO that we need to sync up soon. Really great article. I am currently working for a boutique social media agency called viewmy.tv and we are creating corporate social networks to bring large corporations and blue-chips into the Web 2.0 era. Our product, brandstation, has core functionality with tailored, bespoke options such as linking to Second Life. All the platforms we make come with our core-technology and are fully branded. We are trying to innovate the Web 2.0 revolution by not only providing social networking, but making it accessible and feasible for businesses. Vassil – cool. Available somewhere? Lawrence – thanks. Good point on the missing words. And your note to contact you has been seen.